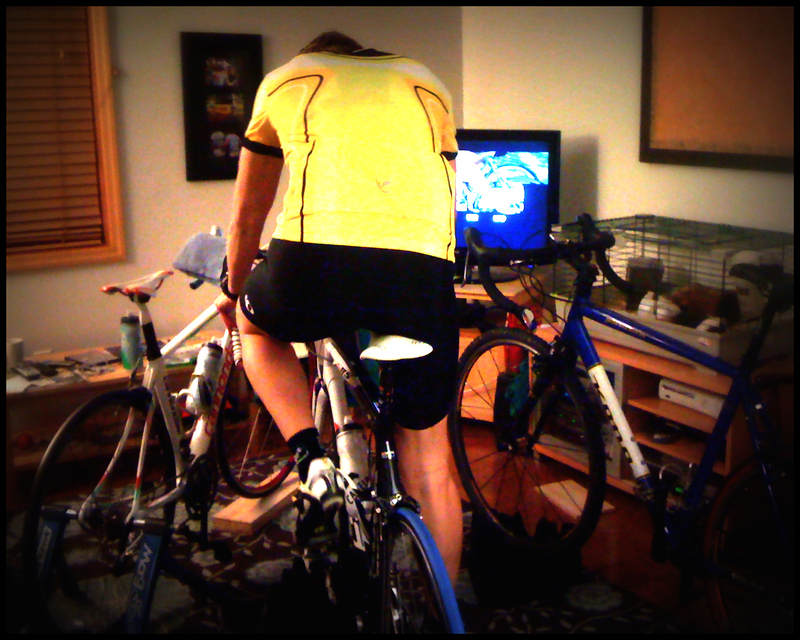 A few fans, an interesting training video (we like Robbie Ventura’s Real Rides), and some creative living room rearrangement is all it takes to create your own trainer night. And the promise of a post-ride pot of chili doesn’t hurt either. This entry was posted in trainer and tagged trainer. Bookmark the permalink.